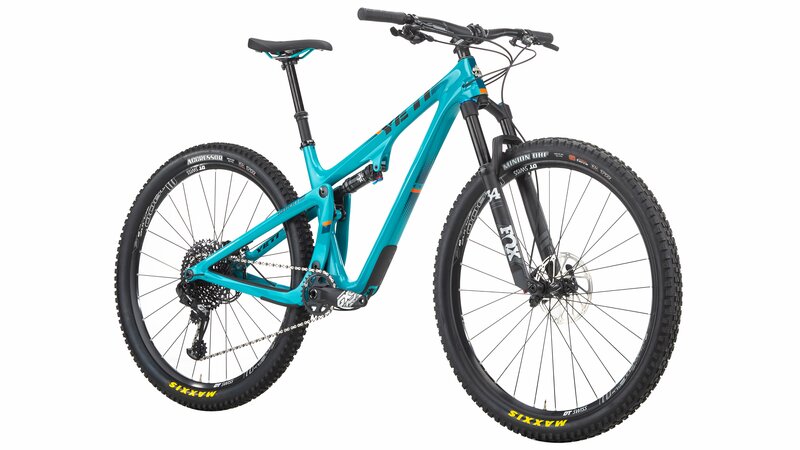 Yeti calls the SB100 a genre killing XC bike. It shares some traits with traditional XC bikes, but also has several features that make it stand out from that crowd. Some call it a XC bike, some may consider it a mini trail bike. 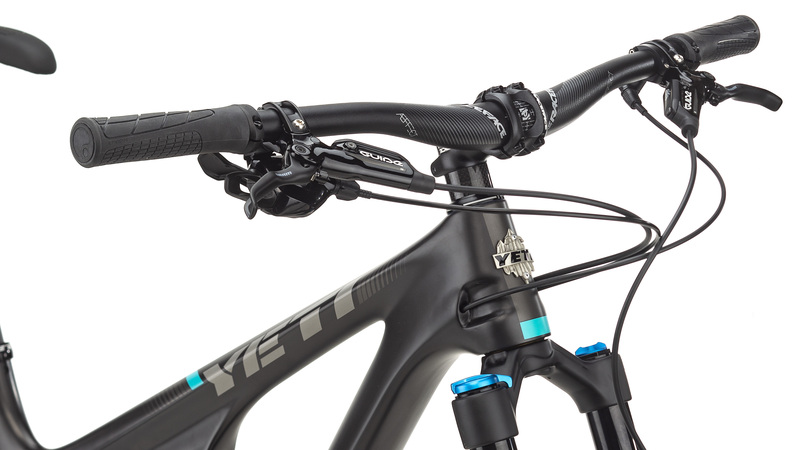 Yeti challenged themselves to make the most capable XC bike ever. 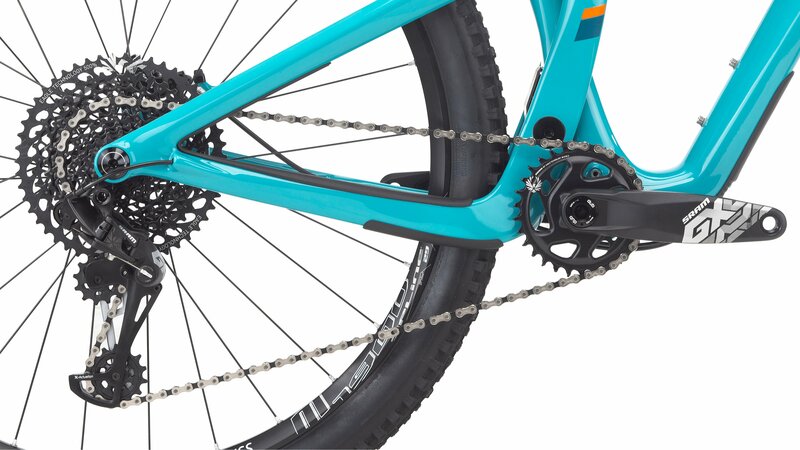 The SB100 is not your standard weight-weenie, uphill only XC bike. It is a precision riding bike. Some may call it a downhiller’s XC bike and that’s fine. Call it what you want. 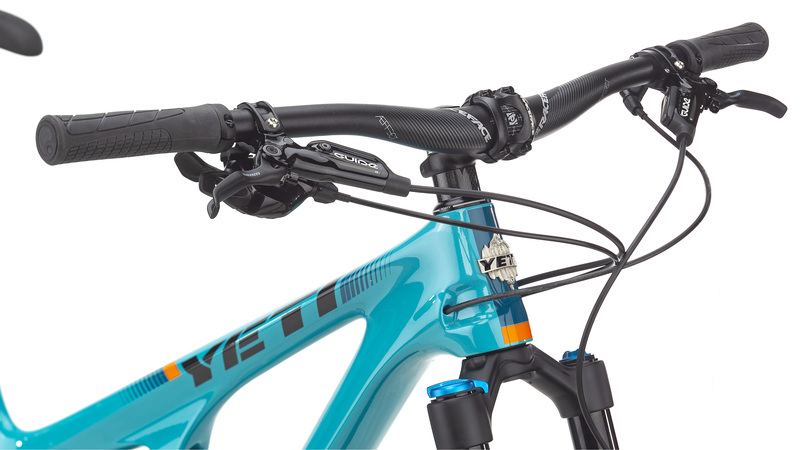 Yeti designed the bike they always wanted, and the SB100 was the result. 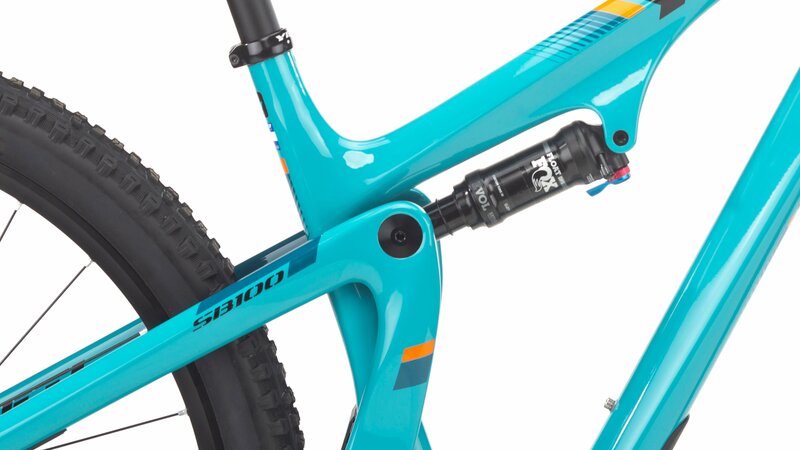 The frame features a newly redesigned Switch Infinity that is specifically designed for 100mm of travel. It is lighter, tucks neatly behind the seat tube, and allows for an uninterrupted seat-tube, so you can use longer dropper posts. 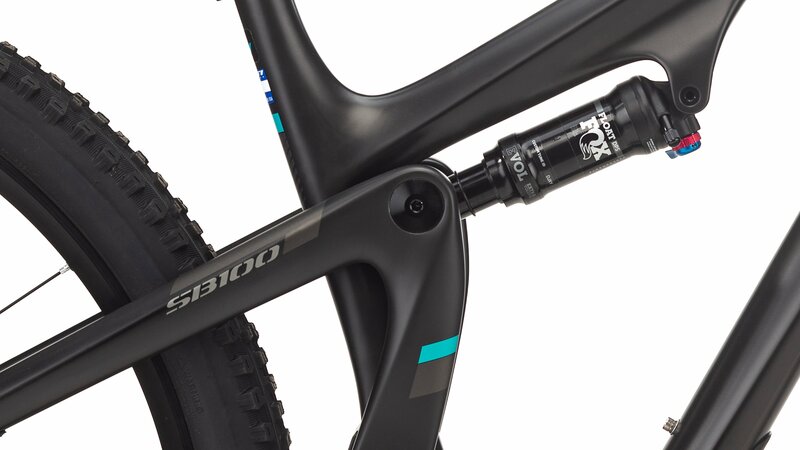 The frame also has internally molded carbon tubes inside the frame, so service and cable routing are a breeze. The carbon frame is the perfect balance between stiffness and compliance. The result is a bike that rides smoothly and feels solid and aggressive. The SB100 GX comes with an elite built kit that is ready to shred. 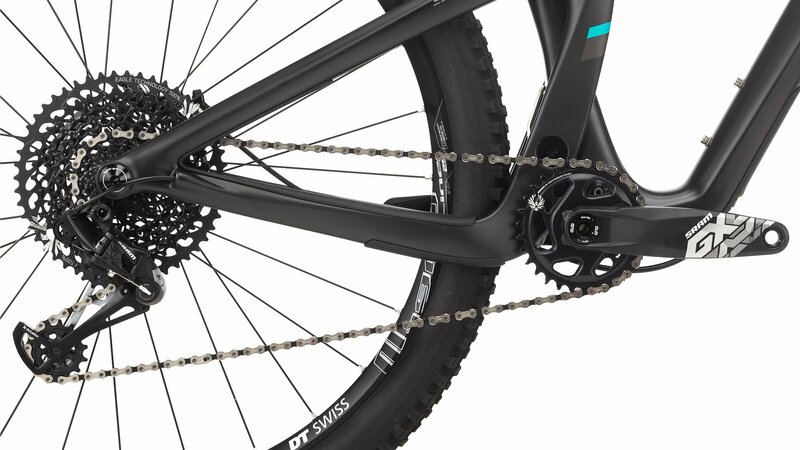 The Fox ultra-light step-cast 34 120mm Performance Elite fork and Float Performance DPS rear shock effortlessly smooths out the trail in front of you, the SRAM GX Eagle 12-speed drivetrain gives you the gear range to make it up the steepest climbs and sprint down the fastest descents, and SRAM Guide R brakes give you incredible stopping power and modulation when things get rough. 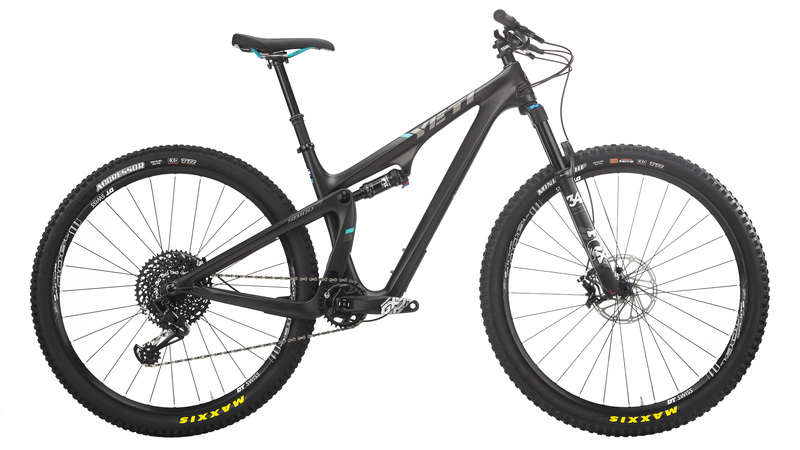 The Yeti SB100 redefines what an XC bike can do. The days of non-fun XC bikes are gone. No matter the application, a day on the SB100 is fun no matter who you are. If your idea of fun is pushing your body to the absolute limit and then riding another lap, you’ll have a blast. If your idea of fun is long adventurous trail loops in your hometown, then you’ll love it too. From the top of a podium, to miles away from any civilization, the SB100 will take you where you want to go. Bike Mag - " I tentatively pointed the SB100 down more technical trails that would have terrified me on other bikes of similar travel, and was relieved by the ease of control." 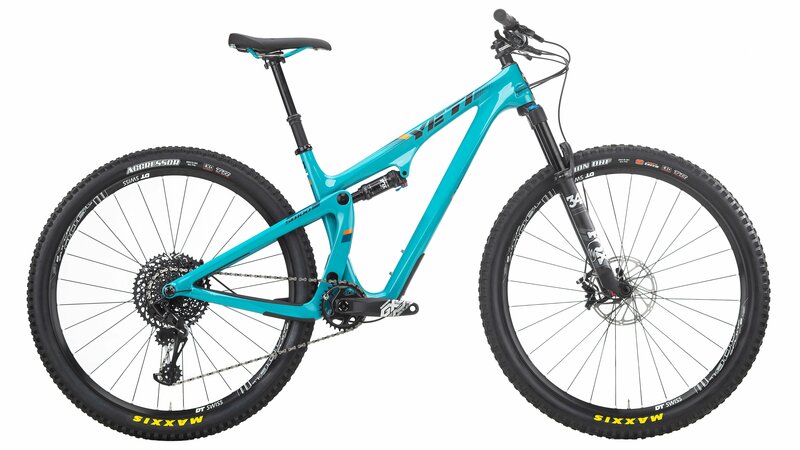 Would I be able to get this model with the fox factory 34 SC fork instead?